After your pool installation in Salt Lake City, using your pool cover the right way will protect your investment. As you need regular swimming pool maintenance , your cover will also need some special attention now and then to ensure that it stays in good condition and protects your pool properly. If you have a sold pool cover, follow these steps to care for it. Your water line is important to more than your skimming system. If there is heavy debris on the surface of your solid cover, such as snow, water from heavy rains, or limbs, and the water line is so low that it doesn’t support your cover from underneath, then your pool cover can become damaged or wear out sooner than it otherwise would. When your pool is not in use for long periods of time, periodically perform water level checks to prevent excessive stain on your pool cover. 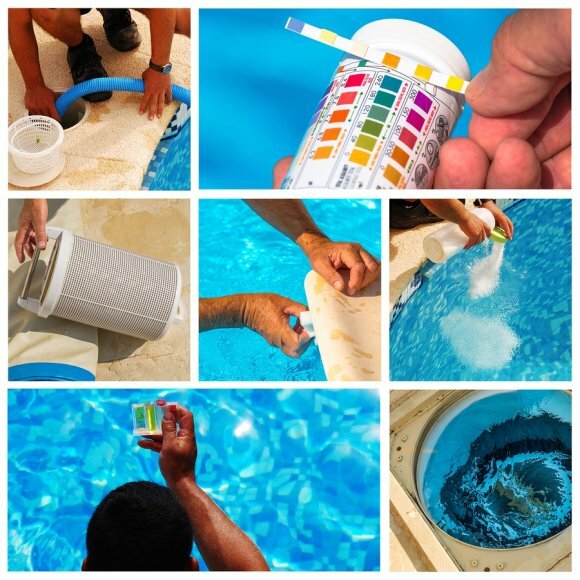 The chemicals you put in your pool to keep the water clean and balanced could cause damage to your pool cover. When you add chemicals, avoid putting the cover on for at least two hours. This will allow the chemicals to dissolve in the water and the levels to balance out. If you put your pool cover on right after treating your water, the chemicals could still be sitting on the surface of the water and damage the pool cover. Your pool cover should be cleaned about once every three to six months. Use mild dish soap and a hose to wet the surface, and then scrub it with a pool brush. Rinse the soap off and use a cover pump on the liner to get rid any water that accumulates. If you notice any mold growth, wash the affected area with diluted bleach, being sure to rinse it off completely. You can reduce the chances of mold growth by making sure your cover is dry before storing it. Maintenance is essential if you want to keep your swimming pool installation serving Salt Lake City in top shape, but what do you do about the offseason? Big and small pools can both benefit from a pool cover, which can lower maintenance requirements and keep your family and pets safe during the colder months. A pool cover can even help maintain the amount of water in your pool, which protects the environment and saves you some hassle when you open your pool again during the summer. Here is a closer look at the top reasons you need a swimming pool cover. Swimming pool maintenance tends to be a simple enough process, but why not make it even easier? 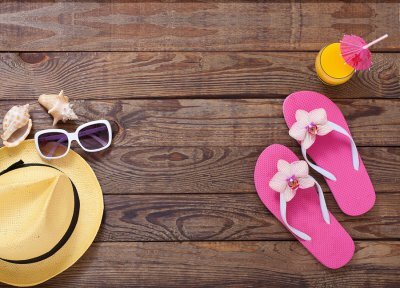 It’s one thing to skim your pool during the summer, but it’s probably not something you’d want to be doing during the winter. When you use a pool cover, you won’t have to worry about removing bugs, leaves, or other debris from the water. This means your list of chores will be one bullet point shorter when the weather gets colder. If you don’t want to skim your pool all year long, consider using a pool cover to shield the water. Just because the weather cooled down, it doesn’t mean your pool will automatically freeze over. 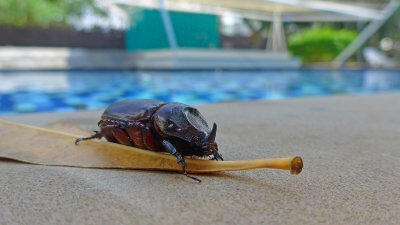 You might stop paying so much attention to your pool area when you’re not using it, but your kids and pets might have a different idea. Although all pool areas should be enclosed or protected in some way, kids and pets tend to make their way into the prohibited zone regardless. A pool cover helps to keep your family safe. 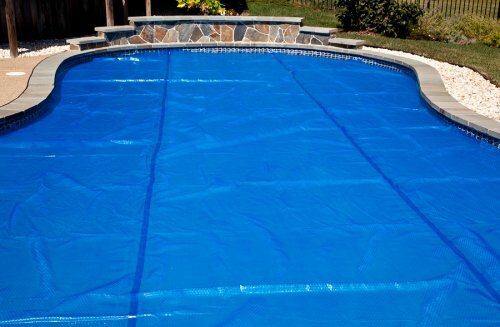 Even if your kids or pets do make it into the pool area, the cover will prevent them from falling in. If you don’t want to have to deal with completely refilling your pool when the summer rolls back around again, a pool cover can help. It will prevent your water from becoming contaminated, and it will also retain water that might otherwise evaporate on warmer days. 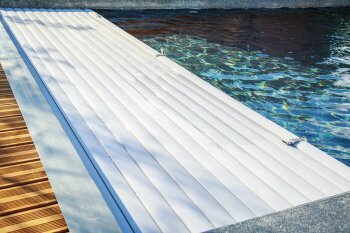 Pool covers are designed to protect pools when they are not actively in use. After you complete your swimming pool installation near Salt Lake City, your pool contractor may recommend that you purchase and use a cover for your new pool. By getting in the habit of covering your pool when you are not using it, you can prevent the need for extensive swimming pool services or repairs in the future. There are a few instances when you will definitely want to cover your swimming pool. 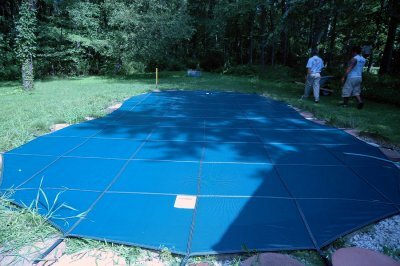 Your pool cover should be used during the winter season if you decide to not drain your pool. By covering up your pool over the winter months, you can prevent damage to your swimming pool filter and heater. Your pool cover will also keep leaves and debris out of your pool area. If you are a parent of young children, you should also cover up your pool to prevent your kids from accidentally falling into the pool if they are unattended. A swimming pool is a wonderful feature to have in your backyard—it is great for exercising, playing games with kids, and hosting parties. However, it is essential to keep up with pool maintenance . The good news is that professional pool maintenance in Salt Lake City is available to help busy families enjoy their pool safely and without hassle. If you are a parent, you know how precious your free time is. Instead of spending time every week cleaning your pool and balancing its chemicals, you can let a professional do the work and spend your free time doing something you actually enjoy. Professional swimming pool services can also help you save energy that you can then use participating in your hobbies. In addition, if you set up a pool maintenance schedule with your pool contractor, you can rest assured that your pool will always be clean and safe for swimming whenever you and your family want to take a dip. 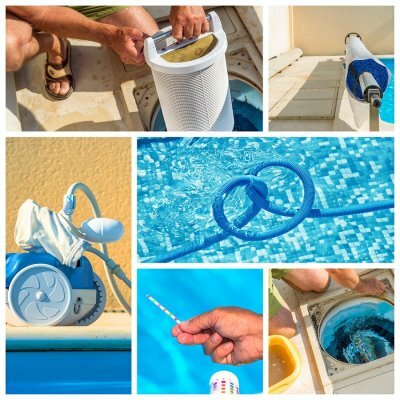 The right type of pool maintenance near Salt Lake City can help your investment last for as long as possible, and it can keep it working efficiently throughout that time as well. Your pool’s cartridge is one of many components and systems that allow large and small pools to function properly, but you need to keep it clean. There are different methods that you can use to clean this swimming pool component, and some are more thorough than others. If you want to keep your pool in top shape , keep reading to find out why it’s important to clean your pool’s cartridge filter. Your swimming pool installation is essentially a large basin of water that is consistently exposed to a variety of elements. In order to keep the water safe for human exposure, you will need a functioning filter. A cartridge filter is one type of swimming pool filter that removes contaminants from the water. 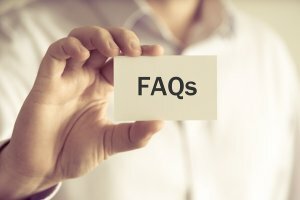 Although cleaning your cartridge filter with a regular hose can be effective in some cases, chemical cleanings can be even better. A dirty cartridge filter can make the water unpleasant and even unhealthy for swimmers, so talk to your pool contractor about having it cleaned.